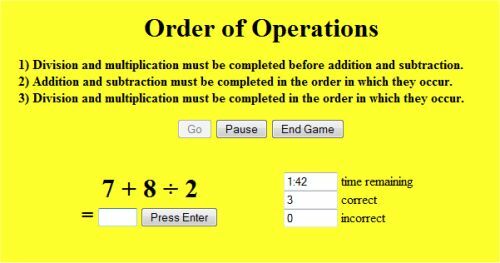 Test your knowledge of order of operations against the clock in this interactive exercise. The activity tests you on division, multiplication, addition and subtraction. A series of questions are posed with a space for you to type your answer. The game tells you the order they need to be solved in – but you are up against the clock, so think fast. 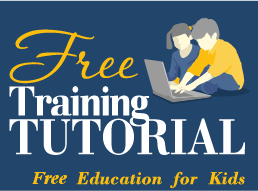 You’ll need to solve division and multiplication problems first, then addition and subtraction, and the challenge of the clock makes this a good test for kids in grades 4 and 5. If you get an answer wrong, a message will pop up to tell you what it should have been, but then it’s on to the next question – so see how many correct answers you can get before time runs out!